After spending over 35 years as a retail manager, I have formed some rather strong opinions about the celebration of Christmas in the United States. Granted, I realize that I was party to the commercialization and the ensuing chaos that occurred with the change in everyone’s focus from “for-Christ and Family” to a “for-profit” mentality. As I accumulated years of service in the retail industry, I began to become more and more cynical about Christmas. My chosen career path placed me in the heart of the action during the holiday season. It thrust me into a routine that was the complete opposite of what I grew up with. I think it would be considered a rare occurrence to actually experience a major cultural shift in values in a person’s lifetime. However, I believe that is what has actually occurred. Whenever Mom prepared the Christmas menu, she would always prepare enough to feed an army. The large amount of food was necessary since every relative made their “rounds” during the days that followed Christmas day. When I was young, the spirit and celebration of Christmas extended well beyond December 25th. Families visited one another throughout the weeks that followed. Tradition steered the visits. 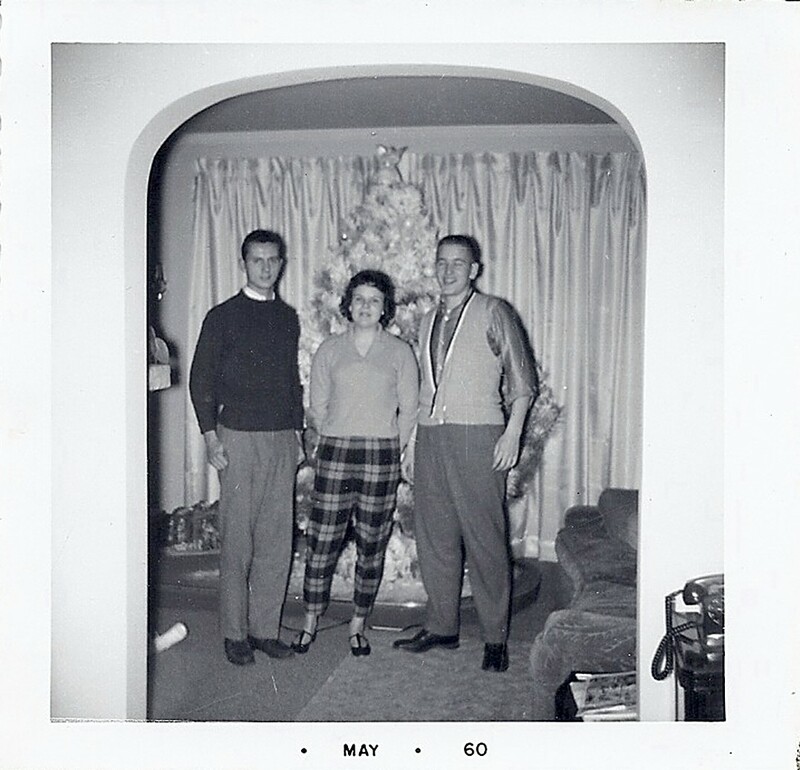 The day after Christmas meant a visit to Aunt Rose and Uncle Sam, 2 days after meant Aunt Babs and Uncle Clell….and so on, up until the Epiphany on January 6th. During those evening soirees, every home set-up a beautiful holiday buffet for their guests to enjoy. Since the menu was virtually the same at every home, it came down to the either the buffet decorations or the subtle nuances of seasonings and ingredients that identified who had prepared the food. Aunt Mary’s stuffed cabbages were always larger than most and very hearty, Aunt Helen’s were perfectly formed little chunks of delight, while Aunt Jane would serve porcupine balls (the meat filling without a cabbage leaf wrapping) and kielbasa with the cabbage rolls. This year, my wife and spent Christmas in the Philadelphia area with our two daughters, my son-in-law and my very first grandchild, Jackson! 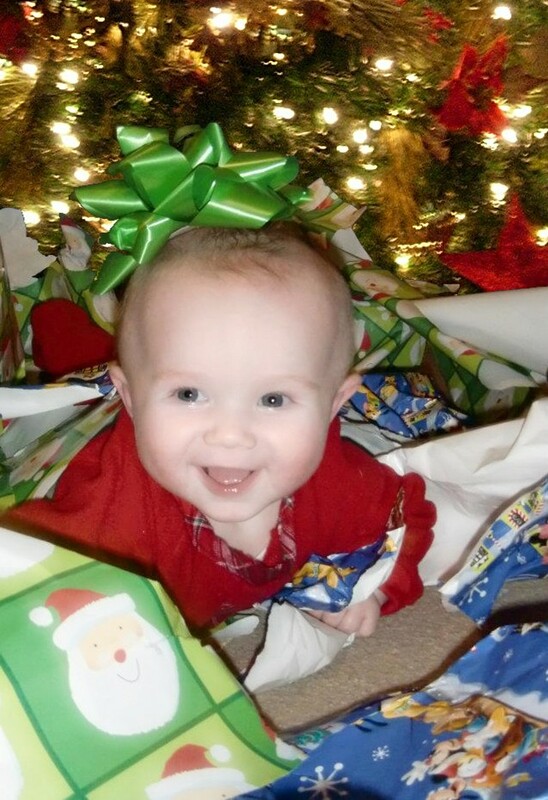 Seeing Jackson, at 5 months of age, delight with just crinkling up wrapping paper and exploring the many toys Santa brought him was worth the trip. It was a very special treat to be able to share his first Christmas with him. Unfortunately, our trip only lasted a few days, and we made our return trip on the day after Christmas. I began thinking about one of the largest changes in the way we celebrate Christmas today versus our youth, specifically the length of the celebration. As I indicated above, when I was a boy our families continued to visit and celebrate for 12 days after Christmas. Trees kept their Christmas vigil in living rooms throughout Duquesne for the same time period. Outdoor decorations remained brightly lit as well. The spirit of giving also continued, and often the kids received presents at each and every relative they visited during the holidays. What an incredibly joyous time of year! As we drove home yesterday after our two day visit to our daughters, it seemed that the plug was pulled on Christmas immediately. Radio stations that featured Christmas carols WAY too early reverted back to non-seasonal songs at the crack of dawn on the 26th. Christmas displays and the Holiday environment that had been created in every store, vanished overnight. 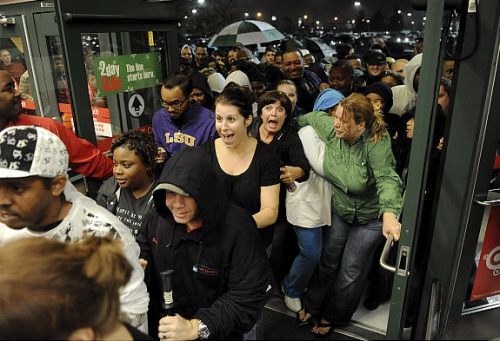 Christmas merchandise was clumped together haphazardly with a 50% off sign slapped on it and bargain hungry shoppers ravaged the shelves. Store employees were dealing with people trying to return items and were demanding their money back. Arguments teemed and store managers tried their best to contain the anger and hysteria. To me, Christmas felt like one of those huge inflatable Christmas lawn ornaments that had the plug pulled. 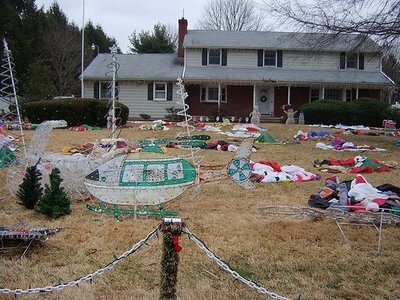 The sum total of most people’s Christmas spirit lay heaped in an unidentifiable pile of nylon in the middle of someone’s front yard. Prior to the holidays, I did a great deal of research in the Duquesne Times. The emphasis on gift giving during the holidays was evident in issues surrounding Christmas, but for the most part it began with the issue published during the second week of December. The Duquesne City Bank’s ad announcing their Christmas Club Savings Plan for the upcoming year was usually the first evidence of the approaching holidays. From the turn of the century until the 1950’s, the Bank’s ad was always a presence in the paper. When I think about how much has changed from my early days in retailing, I shake my head in disbelief. During the late 60’s, I worked at Gimbels in Eastland Mall. Although I worked in several departments initially, I eventually landed in the Camera Department. I recall that the Christmas shopping season and the Holiday advertising season was contained within the month of December. However, somewhere between then and now, the Christmas season was turned upside down. Stores began opening earlier and earlier each year. Opening an hour before regular store hours in December was about the extent of the “extra hours” at Eastland back in the 60’s, and that only happened one or two weeks prior to the 25th. After the appearance of “Big Box” stores such as Walmart as part of the retail landscape, things dramatically changed…. probably forever. The length of time that stores were open got longer and longer. 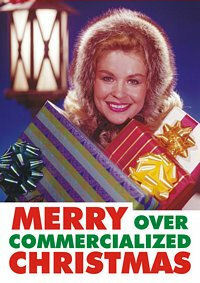 Advertising that dealt with Christmas began appearing weeks before Halloween. Stores were trimmed for Christmas as early as November 1st. As a General Manager or District Manager in retailing, I often had to deal with the complaints of people that dealt with the early set-ups of holiday. In my heart of hearts, I had to agree with them. As if the longer store hours wasn’t bad enough, now we are invited to begin our shopping at Midnight after Thanksgiving and continue all night. Is it me, or has this become completely maddening???? By the week after Christmas, stores will be complete stripped of any reference to Christmas. Any remaining items will be segregated to some obscure corner of the store and priced at 75% to 90% off. Valentine’s Day will hit us at every turn and the stores will be screaming “Summer’s Coming!” Of course, the fact that we are still facing the entire winter season doesn’t register anywhere. Oh, for those good ol’ Duquesne days! With all of that said, I am committed to enjoying the holidays until January 6th , even if it is just Judy and I. I intend to continue to consume mass quantities of Christmas cookies, cheese balls and kielbasa. My Christmas tree will remain standing, my outside decorations will remain lit and I vow to continue to wish people “Happy Holidays” until the 6th of January. To me it isn’t a chore to do so….. it’s a pleasure!! So, to all my friends who are reading this…. HAPPY HOLIDAYS! And in true hunky spirit… play it forward! More like for the Bud and Jerry Donut fund! Reading this on Christmas Day. Fondly remembering my childhood in W Mifflin Duquesne area in the 60’s. Thanks for your great posts. Blessings to all. Another fantastic post! I actually like the extended hours that the stores have during the Holiday season. Do you remember what time the Gimbels store in Eastland Mall would open during the Holidays? IF I recall (and that is real iffy after 47 years since I worked there), the earliest I ever remember opening was 9 a.m. Thank you, thank you, Jim. This post just made my Christmas this year. It was so good to read in black and white from someone else having the same memories as mine. How blessed we were. I sent this on to our kids so they know it wasn’t just me. The trouble is, they can’t truly appreciate it. They say you can’t live in the past… darn!!! Jim, Merry Christmas to you and your family. Your place in Heaven is assured because you have done so much to keep our Hunky community together. And , yes, Vesele Vianoce to all my Hunky friends and relatives, especially the Slovaks. Although we have spread out and moved to all corners of the country, we have taken our values and ethics with us. Our parents and grandparents worked hard and taught us well. We may be far apart, but our hearts are still in 15110. Staslivy Novy Rok 2019. I loved reading this. I can also remember those Christmas’s from that time period. I was born in 1957, and grew up in Elizabeth, Pa. You’re right about Christmas lasting for a week or two back then, we didn’t even get our tree until Santa brought it Christmas Eve ! Merry Christmas. Thanks for sharing your memories, Jim. Our families are scattered now so that we can’t visit the way that we used to do. Like you, I keep my decorations up later. My Dad’s birthday and what we called Russian Christmas, were on Jan. 7. That is when I turn off my Christmas lights. Merry Christmas to you and your family. Keep the music and the memories going. I remember Christmas in Duquesne–the decorations at Murphy’s 5 &10, and the bigger stores–Firestone, Adlers, Sally Fashion, the drug stores, the Plaza theatre, the banks, and the bakery there on first street near the 5&10. Those long johns with creme filling and chocolate on top still make me salivate! When Isaly’s Klondike Bars were solid ice cream not the air-fluffed stuff they call ice cream today. Yummy! Back then lights were strung across the main thoroughfares of Duquesne–Grant St. and First St. I thought Duquesne was pretty festive, more compact, it seemed to me than McKeesport. Merry Christmas and a Happy, Prosperous, and most of all, a Healthy New Year! First thank you for posting a great picture of Tim, Joanne and Lou. I was good friends with Betty and Tim, spending a lot good times at their house and of course at our church 1st Presbyterian.. I remember Joann from school and was in the same class with Lou. I also remember what great times is was growing up in Duquesne at Christmas. Also going sledding on all the streets closed by the city and having people fires in barrels in their back yards. I have a neighbor that has a fireplace and it smells so good and reminds me of Duquesne. I was at Rite Aide on Commonwealth yesterday and they were putting up Valentines Day way way to soon. If you hear from Tim, please tell him i miss talking to my adopted brother and if he gets back please call me. If only we could go back to Christmas the way it was in the fifties.